There will be an Open House on Tuesday, September 25 to answer all your questions about old, new, and upcoming Northwest Philadelphia and Montgomery County trail projects. The event, taking place at the Manayunk Brewery on Main Street, is free; register here. In total, there will be at least 12 agencies and organizations presenting at the event with posters and presentations. 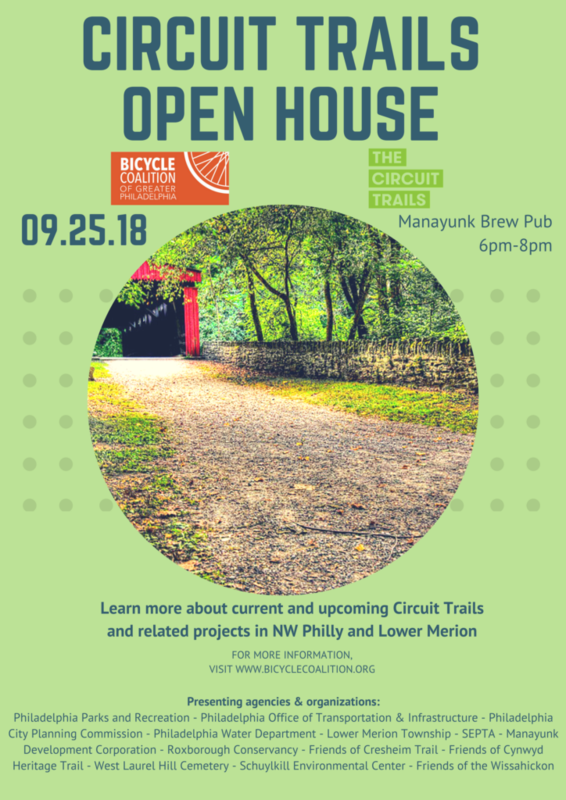 It’s a great chance to learn about some of these great trail projects, and have a beer from one of Philly’s craft breweries while you’re at it. Register here, and RSVP/share on Facebook.